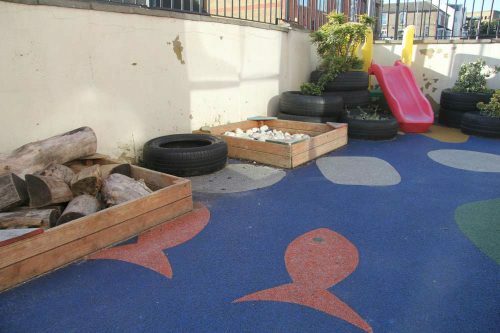 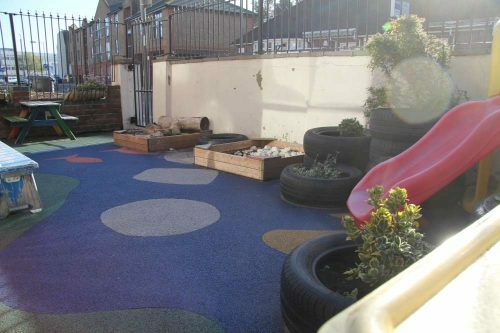 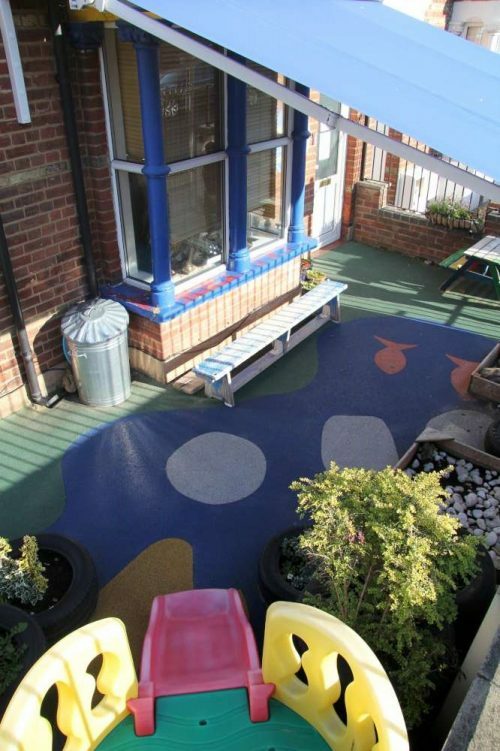 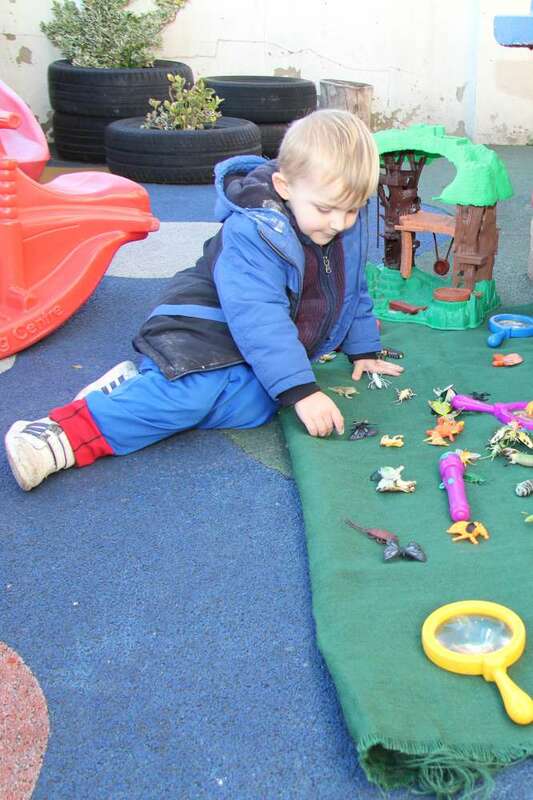 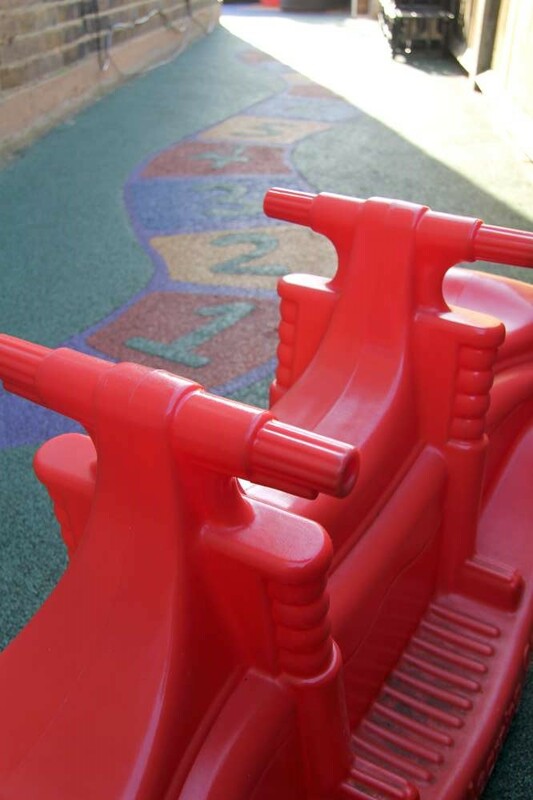 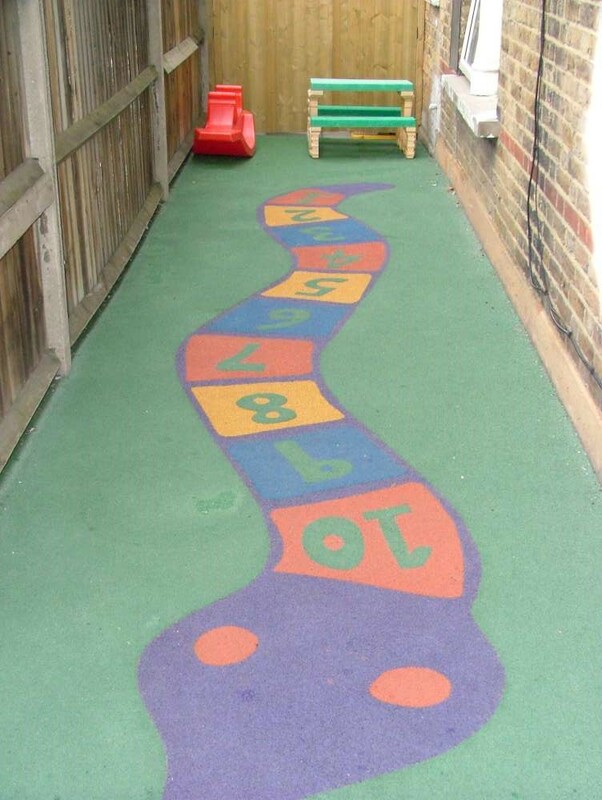 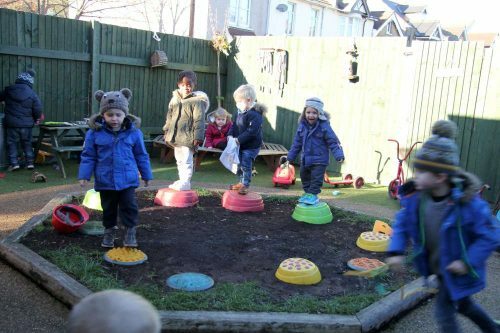 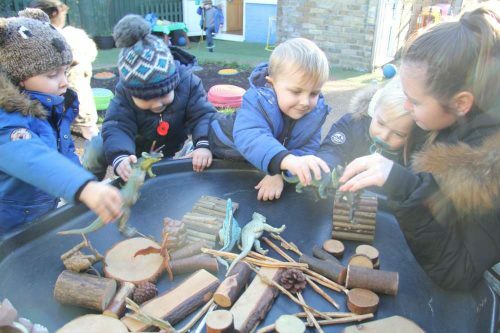 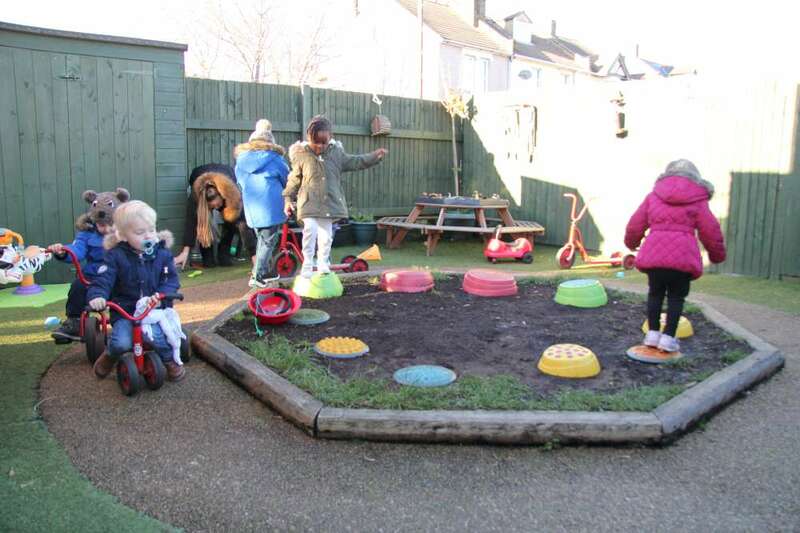 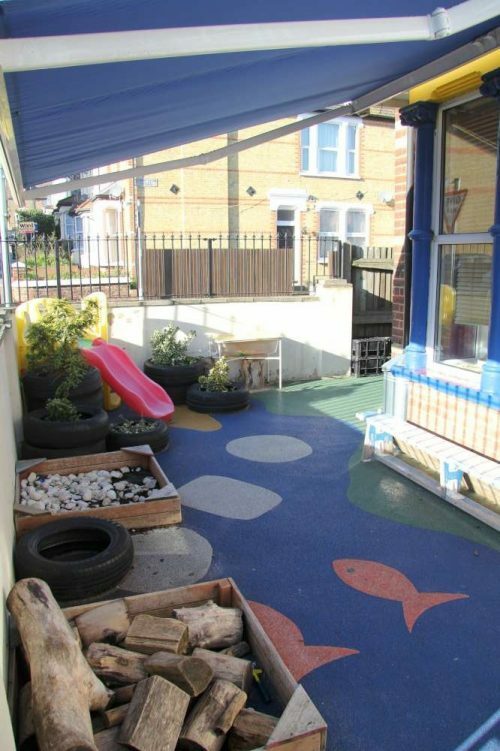 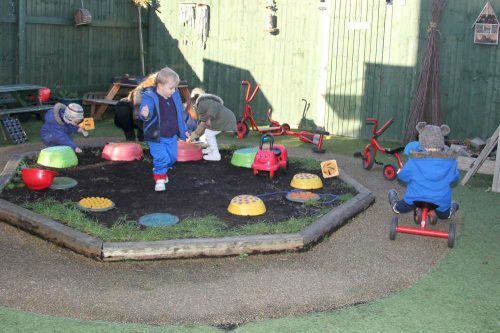 We have two outdoor area’s; one suitable for fast energetic play and movement the other designed to connect the children with natural elements. They can be connected together or managed independently allowing flexibility for different ages and abilities. 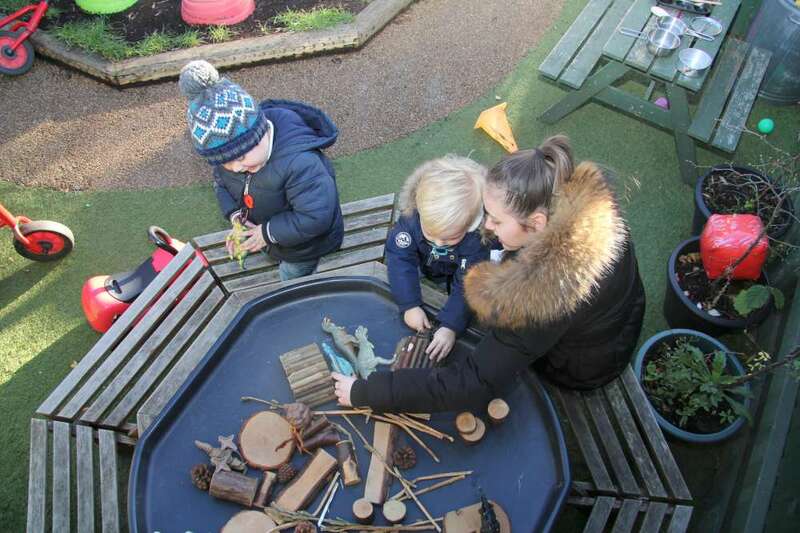 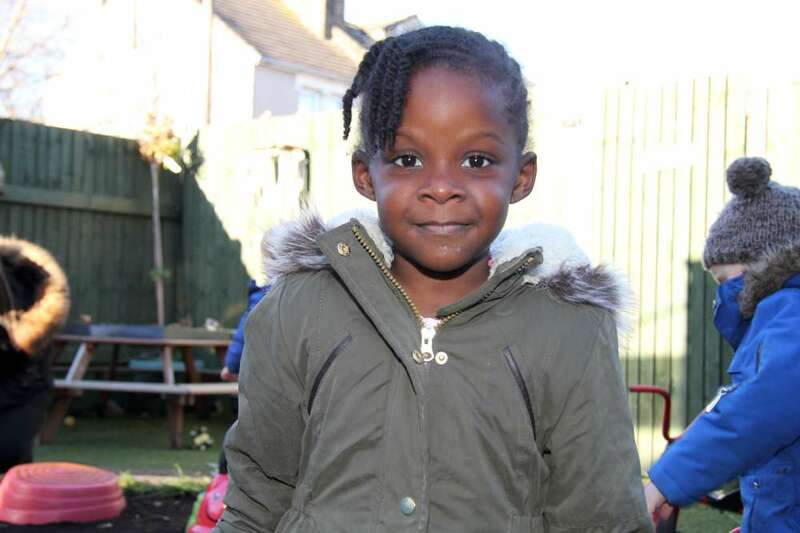 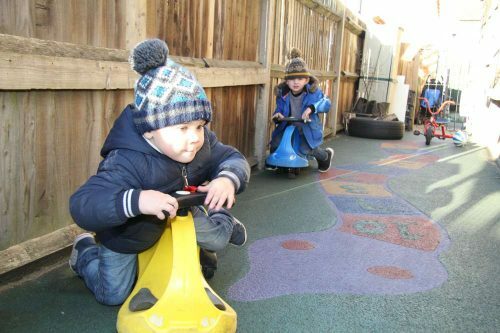 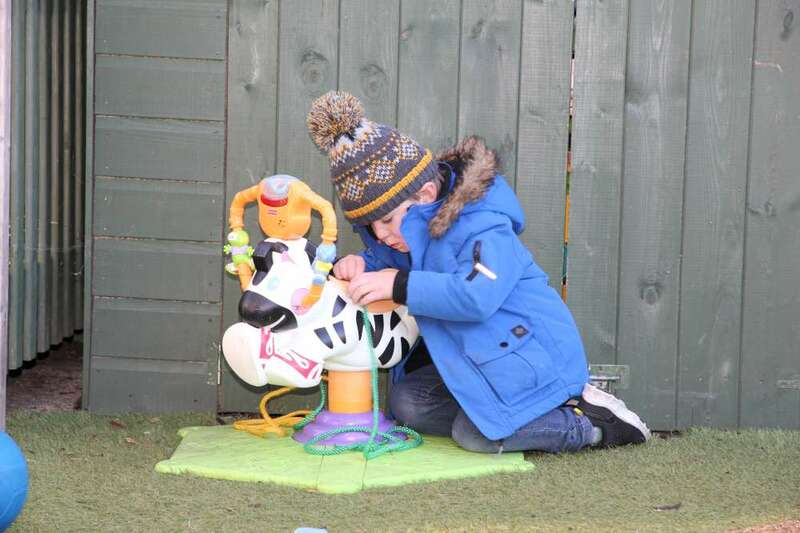 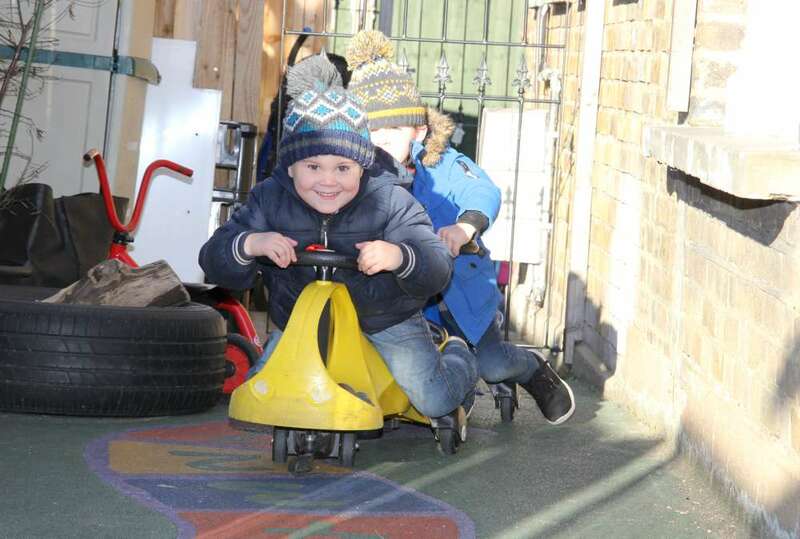 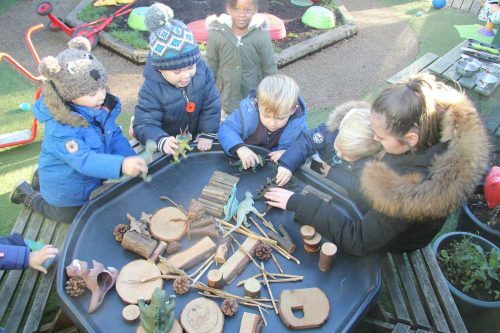 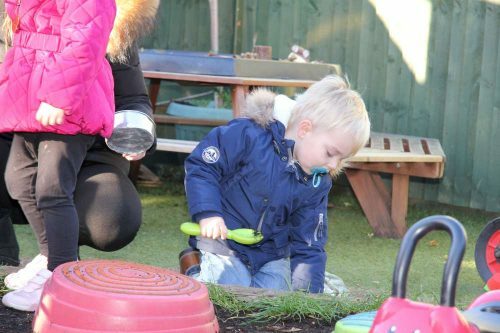 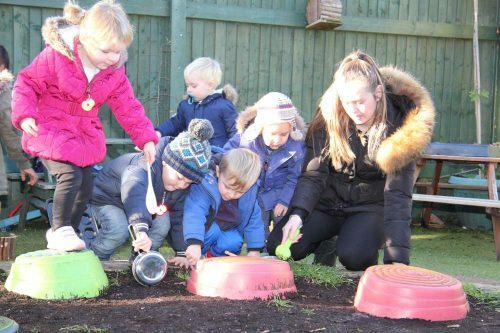 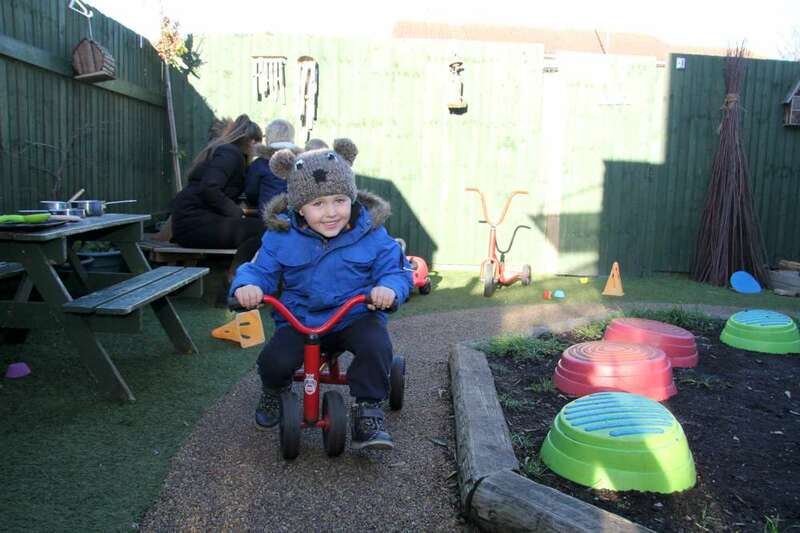 Our outdoor provision areas provide opportunities for the children to continue their learning and development outside, or to just benefit from the positive feelings being outdoors brings. 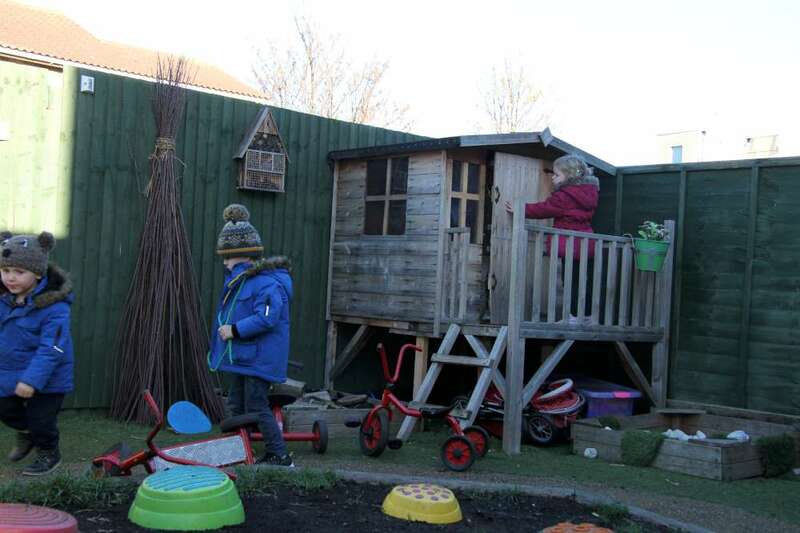 The garden to the rear of the setting is designed to feel natural and peaceful with natural resources, plantings and a small tree house. 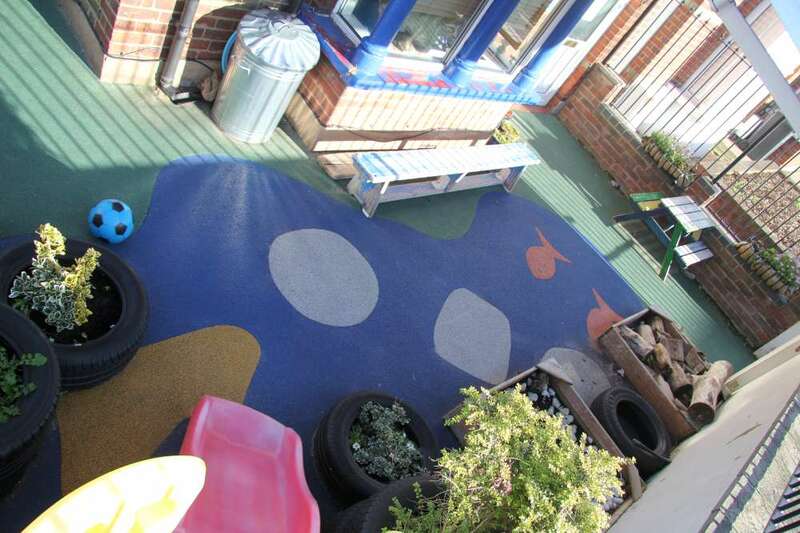 The front outdoor area has soft flooring planted areas and space to run and play games. 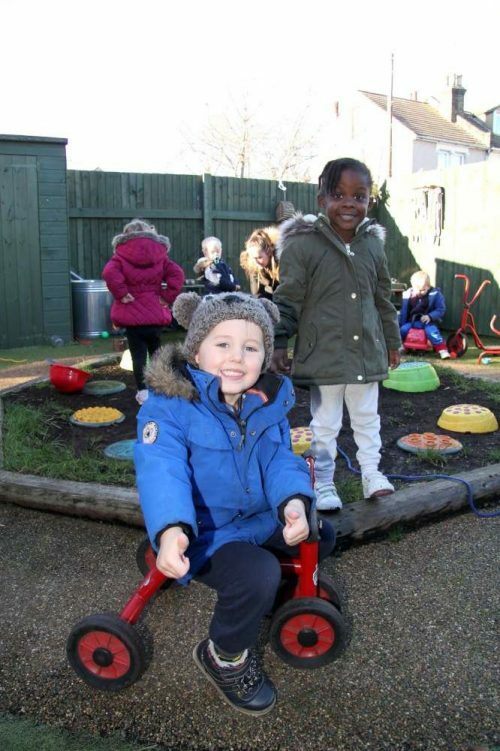 We have a selection of cars, tricycles and scooters together with sports equipment ensuring there is something suitable for all ages.